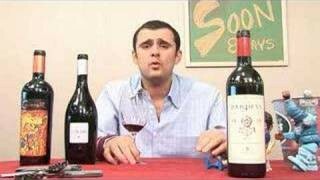 Gary Vaynerchuk tastes two new releases of Kosher wine from Spain and the United States and talks about the upcoming Kosher Food and Wine Experience in New York City. 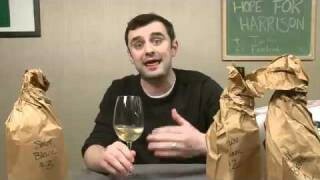 Hi, when will you do more episodes on Kosher wines? there are some great ones at Trader Joes, you should especially try the Terrenal Seleccionado! EP 297Kosher Kings. Are Kosher Wines the Steals of this Era? I agree, the thunder was missing even before the disappointment from the wines. Next time try a really nice high end kosher cab called Covenant….consistently in the Parker 90’s, and he asks if these are the best kosher wines in the world. Wow. That sucked (the wines, that is). Oh well, this just goes to prove once again that you don’t load the shows with wines that you have tasted already. Nice try, anyway. QOTD: Paying $1700 to fly coach to Europe is rather disappointing – and not at all comfortable. “Wine is not a destination, wine is a method to get intimate with people.” SO COOL. thanks for sharing. Thanks for posting the link to this video. I just watched it and I enjoyed it very much. One thing to keep in mind is how complicated and strict Jewish law is regarding to making wine kosher. It is by far more strict than any other food. I wish there was more high quality kosher wines, and I think with Israel gaining steam, there will be soon. One thing to remember when talking about Kosher wines is how complicated they are to make compared to any other wine. Jewish law is very strict with regard to making wines kosher making it by far more difficult to adhere to kosher guidelines than any other food. In short, this stems from wine’s repeated negative influence in various stories in the Torah/Old Testament. I do wish there was more quality kosher wines out there, and I don’t think that day is too far off, especially considering with the huge wine renaissance happening right now in Israel. $80? $120? I don’t care if the wine is 87, 88 or 94 or 95. I will stick with Manischewitz for $5. Qotd–Ipad. Not worth the money. Just a poor imitation of a small laptop. WLTV 4 eps a week Allan, Next coming tomorrow we’ll hope. Middle of the movie, Chateau de Reignac one of the world’s most value wines. Thats an easy question, my tuition at Virginia Tech this semester if Gary doesn’t make it down to Blacksburg! Be on the lookout for a big present from the Virginia Tech community, incidentally. We REALLY want for you to come see us man. Virginia Tech loves WLTV! Come visit Blacksburg, VA! I’ve bee been watching the Thunder Show for about the last 4 months via Hulu. I think that you’re on to something with the head to head battles, and I also love the brown bag format. I’m a big fan of the wines from the Paso Robles area. Could you do a show on some of the red blends from that area? Also, I love the exposure you give to some of the lesser known regions around the world. Question of the day answer: Last month I bought a $120 pair of hiking boots that put a huge blister on foot within 15 minutes. I’ve been watching the show for about the last 4 months. I like the head to head battles and love the brown bag format. 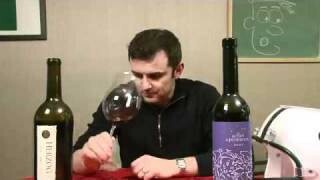 I drink alot of red wines from Paso Robles and wanted to ask if you could do a show on some reds from that area. Also love how you give exposure to some of the lesser known regions around the world. Question of the day answer: A couple months back I bought a $150 pair of hiking boots that put a huge blister on my heel in less than 15 minutes. Totally unrelated, but wanted to stop by real quick to let y’all know that Netflix is now playing “Blood Into Wine” on Watch Instantly. 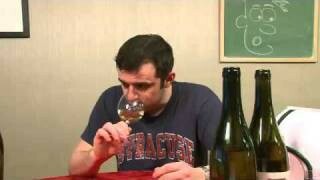 It is Maynard’s (episode 592-593) journey of wine making. Good info in general on wine. Doesn’t get too “buy my wine” ad fest, AND features non-cali. Makes a little happy, y’know? I am just curious. 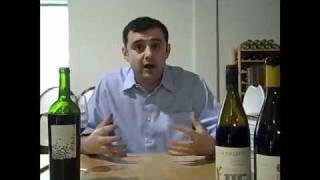 What country have the best wines? I am just curious. What country has the best tasting wines? No, your not going to sell any wrinkle cream on here, try with wine instead, bye bye. Obviously pretty disappointing wines. I find the whole topic of ‘Kosher’ wine pretty interesting, especially as it’s not somethign you ever see in Australia, the UK or Hong Kong. Is there a reason why it needs to be a seperate category; surely if these wines were good they would stand on their own and not need to attach the Kosher label? 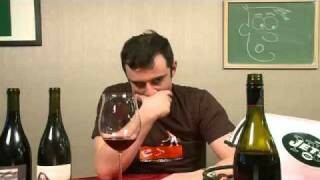 Ive had some great Kosher wines over the years…sorry these were disappointing. Someone actually DID recommend that Herzog to me! QOTD: I havent been drinking wine, but broke this streak last week, while in Belgium with some Chateau L’Ermitage /Pomerol! Ummm..it was not what I was expecting. The company was sublime, the environment was awesome..but the wine…was neither. Happy Birthday WLTV!!! Congrats on the successful longevity Gary! So anyone, what’s the face for in the background? Kosher wines are not substantially more difficult to produce than are non-kosher wines, and there are plenty of decent to truly great ones available here in Israel. Right now I’m drinking a decent 2008 Yogev (Binyamina) Cab-Merlot blend. It cost about $14 at the supermarket, and makes a nice day-to-day red table wine. Some world-class kosher wines being produced here include Yarden from the Golan Heights winery, which you can find easily in the US. I’m not sure if Yatir or Castel are available in the US, but they both produce truly great kosher wines. In fact, I think Gary reviewed a Castel awhile back. Note that some really nice non-kosher wine is produced here as well. HAPPY ANNIVERSARY GV AND WLTV!!!!!!!! Thanks for making diving into the wine world easy and much more personable. 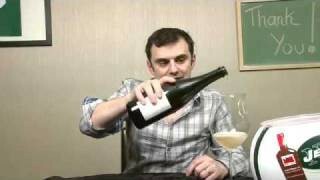 I love the videos and am learning lots about the best beverage EVER!!!!! I’m taking a wine course at Virginia Tech and your videos are part of our curriculum! So Boss! Only thing that’d be better is if you came down and spoke for us! 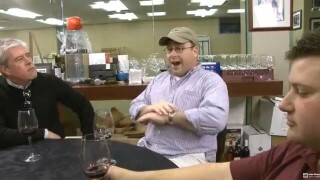 Seriously, you have mad fans, so come drink some wine with us Virginia Tech Hokies! Please?!?!? Love your videos Gary! Learning a lot! I’m in Boyers wine class and I think you should come to Virginia Tech!!! Hey Gary! I love your videos! We are watching them as part of the Geography of Wine Class at Virginia Tech. You make wine very accessible for people who don’t know anything about it! Thanks!!! 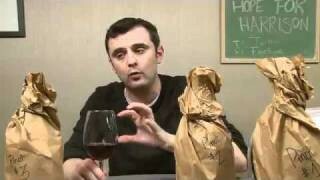 Hey Gary V….we need a wine lesson down here at Virginia Tech….You have made learning about wine so fun!!! I think Virginia Tech “wants you” Gary,,,,,, I don’t “Want You”, I only Want’s the THUUUUUUUUUNNNNNNNDAAAAAARRRRRRRRRRRRRRRRRRRRRRRRRRRRRRRRRRRRRRR!!!!!!! gary v!!!! you are awesome!!! i think you should come to virginia tech and speak for the sole purpose of convincing the people in our geography of wine class who think you’re annoying that you aren’t, because i think you’re pretty fantastic! do itttttt. I don’t know who this ALLAN guy is but he obviously underestimates how AWWEEESSOOOMMMEEE it would be if and when you bring the thunder down here in Blacksburg VA!!!! So who cares if he doesn’t “want you”… we “WANT YOU” Gary and we need you to come visit asap!!!! VAAAAAAA TECHHHHHHH BLOW’N UP AGAIN!!!!!!!!!!!!!! !